We're sharing a recipe from our upcoming book on baking and the story behind how this cover girl-worthy recipe came to be. ChefJune has been a member of our community for the very start (her first recipe is from six years ago! ), and she is the mastermind behind many of our site's beloved recipes: Her Chicken in Red Wine Vinegar Sauce, Crab Beignets, and OMG! Coconut Pound Cake are all OMG good. 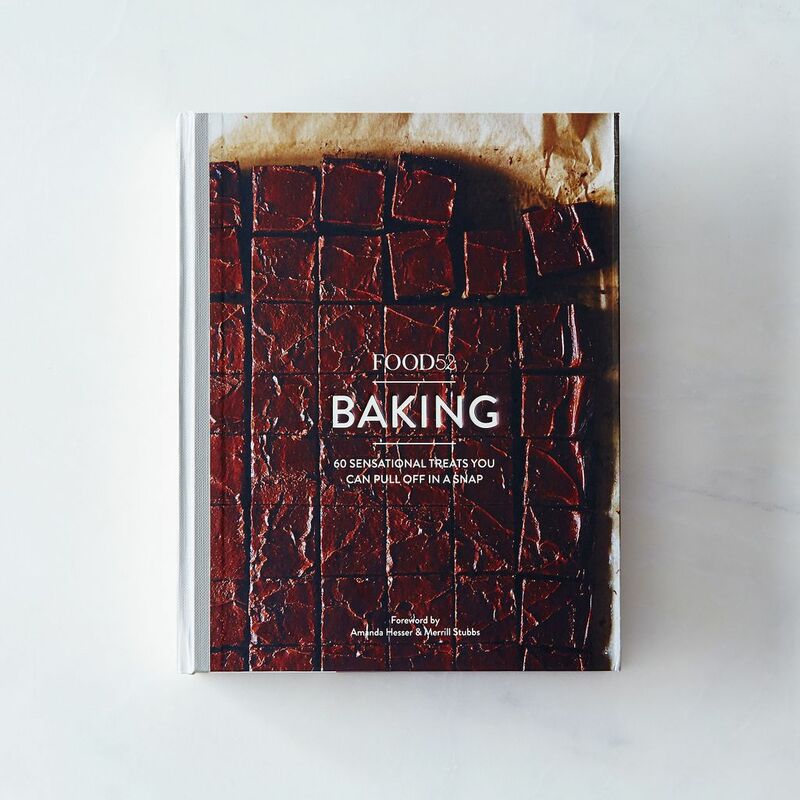 But there was one recipe—a frosted brownie—that she posted back in 2011 that deserved a little (or rather, a lot) of attention—so it graces the cover of our forthcoming book, Food52 Baking. While you won't be able to look beyond its cover till September (well, we'll probably be sharing more—we're just too excited! ), you can preorder the book in The Shop now. Brownies have always been a favorite food group in my family. They were among the first things I remember baking—plain chocolate brownies were my dad’s favorite! When I had a catering company, brownies in all flavors were an obvious inclusion on my dessert list. The base recipe is one a fellow teacher shared with me a long time ago. All my adaptations start with her recipe, including the one in Baking, Espresso Magic Brownies, which I thought up for a friend’s fundraiser. I prepared several serving plates of the brownies so everyone could reach them, and the first two plates we put out were swooped down upon like hawks after chickens. The plates emptied completely and quickly! Someone suggested maybe they had magical properties—hence the name of the brownies. As you can see, these brownies are frosted. The recipe for the chocolate, Cognac, and espresso frosting is from my godmother, Annie Joe Dawson, who was also famous for her brownies and always frosted them with this really rich frosting. Although I’m no longer catering and making brownies for clients, I still get lots of requests for brownies from my friends. I'll keep you posted on what brownie I dream up next. 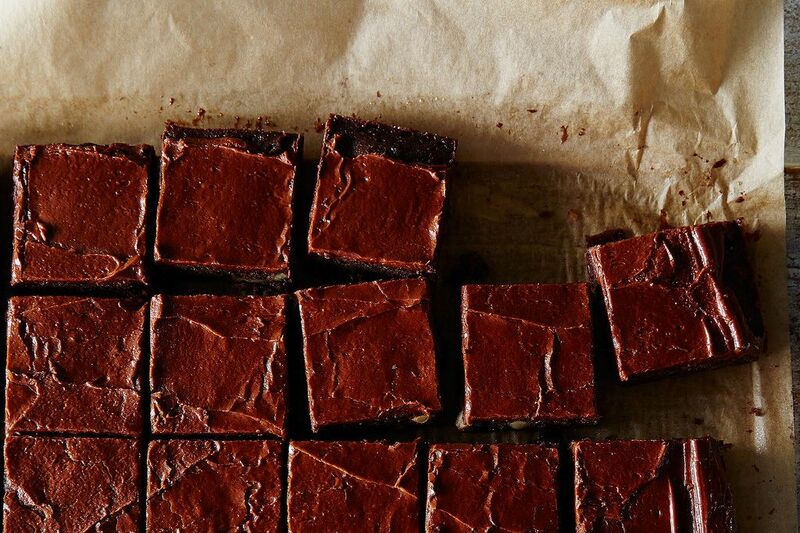 While these are absolutely delicious, I'd have a hard time calling these brownies. It's more akin to texas sheet cake minus the marshmallows then brownies. Very dense, spongey texture for the cake. However, the flavors are amazing, and the cognac in the frosting is divine! Can't wait to try! Would appreciate having the weights of the dark brown and superfine sugar. Well, for heaven's sake! Congratulations Chef June - never have made one of your recipes that has not been outstanding!! Congratulations Chef June! ...such a good story, including the photo print from James Ransom and food52. The recipe sounds wonderful - lots of good things, layerings of flavor (repetition of chocolate and espresso). Have you ever tried seasoning other than vanilla? If yes, results? Eric: l would still go with 8 eggs. Brownies are very flexible. If using large eggs, what would be the conversion? Chef june, you are my hero! I'm so happy for you that your brownies are on the cover. I can't wait to see that book!